Do you know what the best part about hiring a limousine or car from SelectDFW is? You get to choose your own vehicle when you want to travel with us. Yes, DFW Car Service provides every customer with the freedom to choose from the latest models of sedans, SUV's, vans, limousines and super stretch limousines. We want every customer to feel like a king or a queen. Whenever you wish to or have to travel around Dallas, we want to give you a comfortable travel experience with DFW Car Service. Whether it is for business purposes or simply for leisure, the comfort and luxury we make available to you will make you feel like you're living the ultimate dream drive. 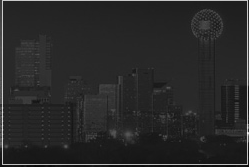 Dallas Airport Car Service is also available to chauffeur you to the airport. Our uniformed chauffeurs will be happy to assist you with your luggage and they will also be ready to greet you upon arrival after a tiring flight. With Dallas Airport Transportation, getting to the airport or being picked up from the airport is no longer a worry. Our belief is, "Why worry when DFW Car Service is here to serve you?" Yes, we stand by our word and we are always ready to do our best to serve you.